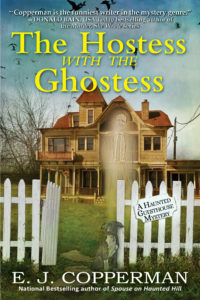 Here you’ll find information about me, the Asperger’s Mystery series from Midnight Ink, the Haunted Guesthouse Mystery series and Mysterious Detective series from Crooked Lane Books, and the Agent to the Paws series from St. Martin’s Press! You can follow me on Twitter here, or be my friend on Facebook. And if you’re interested a funny, twisty, exciting mystery novel, you’re in the right place! Look around; spend some time. News: King’s River Magazine had its reviewers name best books of 2017 and one of them was Dog Dish of Doom! 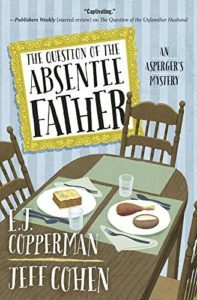 Library Journal also listed Written Off as one of the 5 Best Mysteries of 2016! 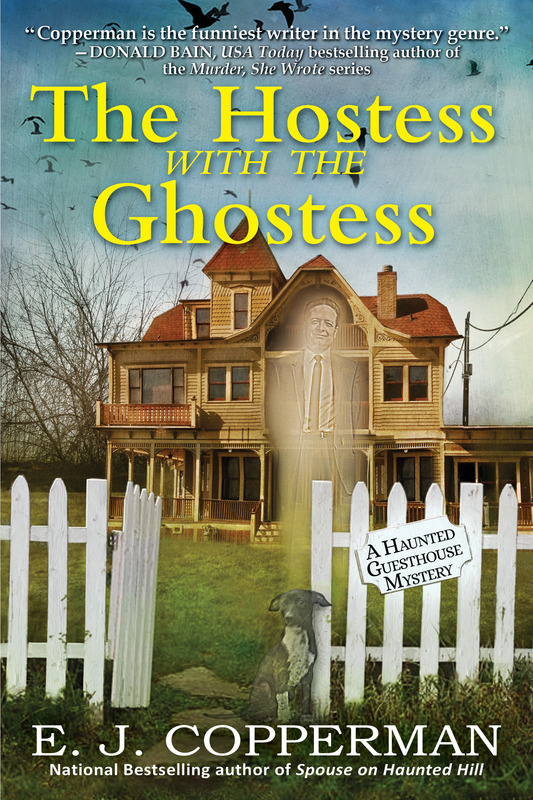 The Hostess With the Ghostess: The ninth Haunted Guesthouse Mystery! 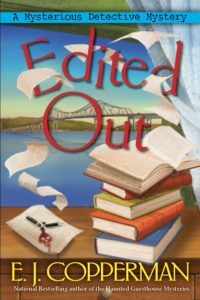 Edited Out: The second in the Mysterious Detective Mysteries! 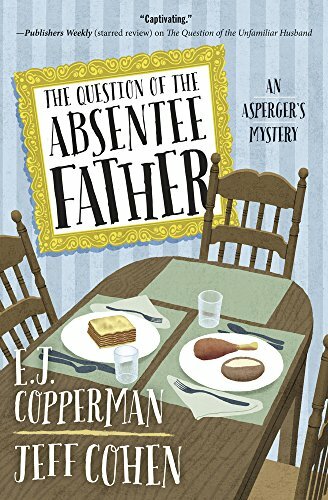 The Question of the Absentee Father: The fourth book in the Asperger’s Mystery Series! Samuel Hoenig doesn’t have strong feelings about his estranged father. After all, you can’t miss what you never had. But when Samuel’s mother receives an enigmatic letter and asks him where his father lives, Samuel is duty bound to provide an answer. 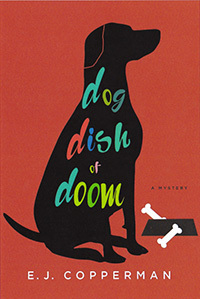 Dog Dish of Doom: The first book in the Agent to the Paws Series! Kay Powell is a theatrical agent whose clients are animals. No, they’re not Hollywood stars; they’re actually non-human animals. So when she tries to get Bruno, a big fuzzy dog, a job in the latest Broadway revival of Annie, all looks good—until Bruno’s owner is stabbed in the back and falls face down into Bruno’s water dish. Jeffrey Cohen&sol;E&period;J&period; Copperman Jeffrey Cohen/E.J. Copperman shared a post. Jeffrey Cohen&sol;E&period;J&period; Copperman Jeffrey Cohen/E.J. Copperman updated their profile picture.